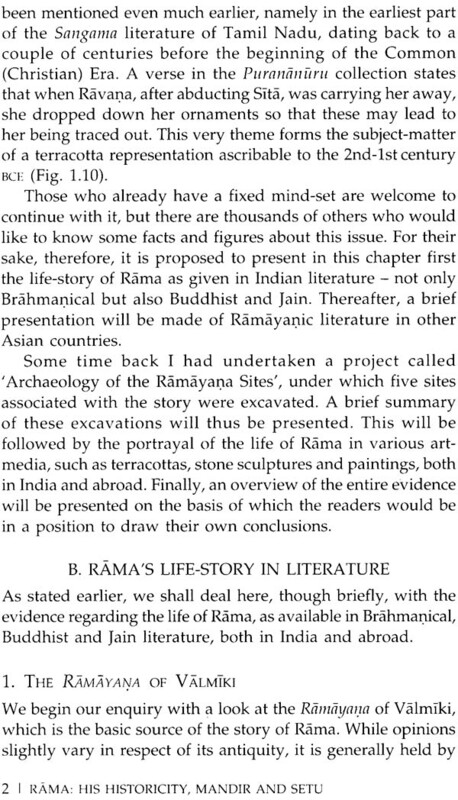 The recent controversy about the Rama Setu has offered an opportunity to certain individuals to question even the historicity of Rama. Their approach is quite ingenious. 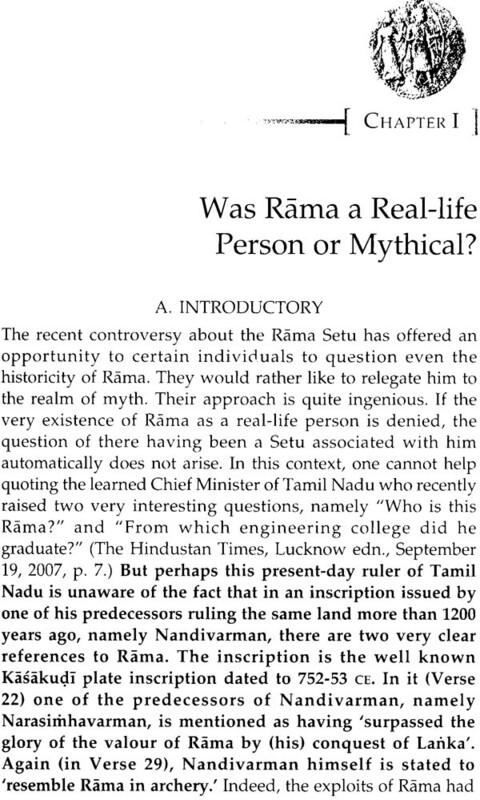 If the very existence of Rama as a real-life person is denied, the question of there having been a Setu associated with him automatically does not arise. 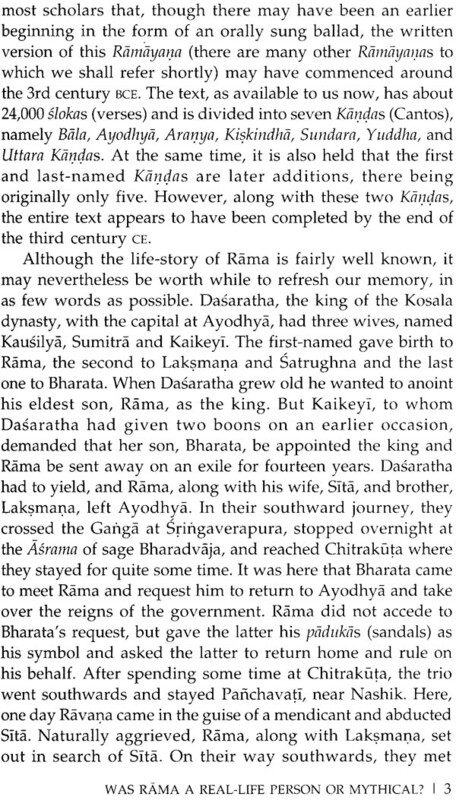 In this context, one cannot help quoting the learned Chief Minister of Tamil Nadu who recently raised two very interesting questions, namely "Who is this Rama?" and "From which engineering college did he graduate?" This booklet seeks to present archaeological facts, nothing but hard facts, in regard to the three more or less allied topics, viz. 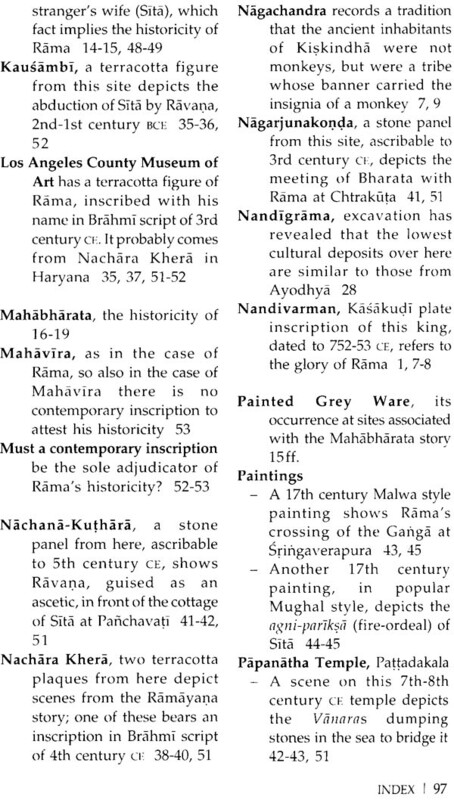 : (i) 'Was Rama a figment of the imagination of a poet called Valmiki, or is there any evidence to suggest that he may have been a historical figure?" 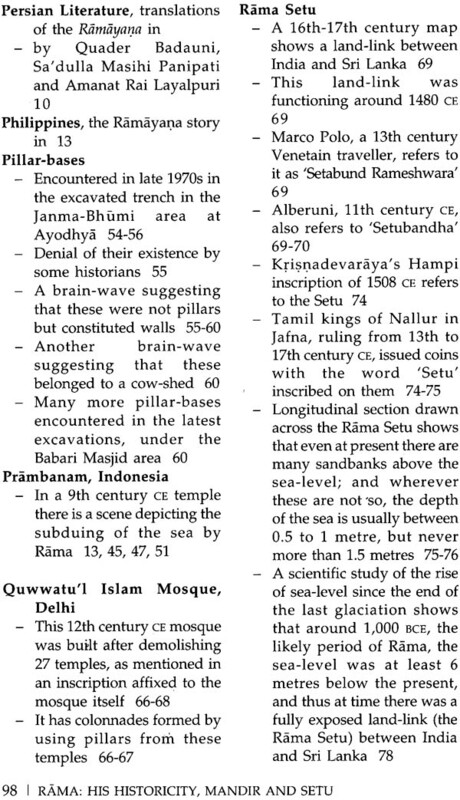 (ii) 'Was there a temple in the Janma-Bhumi area at Ayodhya, prior to the construction of the Babari Masjid? 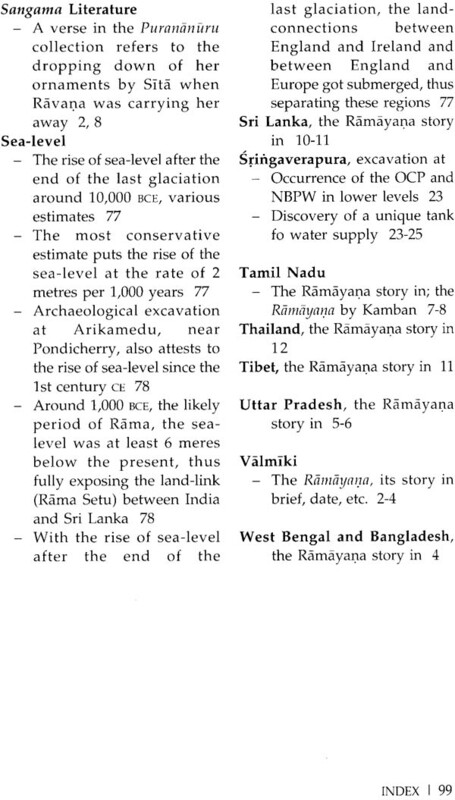 "; and (iii) 'What are the "credentials" of Rama Setu'? A world-renowned archaeologist, Professor B.B. Lal was the Director General of the Archaeological Survey of India. His excavations cover a very wide range. At Kalibangan, Rajasthan, he unearthed a prosperous city of the Harappan Civilization. 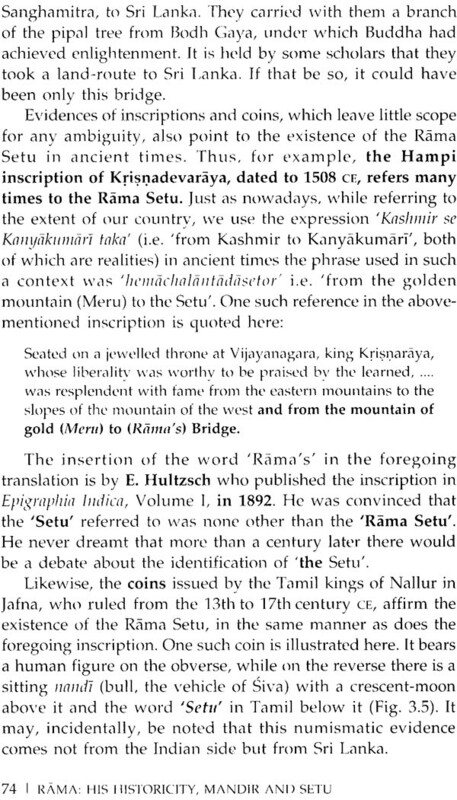 The excavations at Hastinapura have established that there was a kernel of truth in the Mahabharata, even though the epic is full of interpolations. 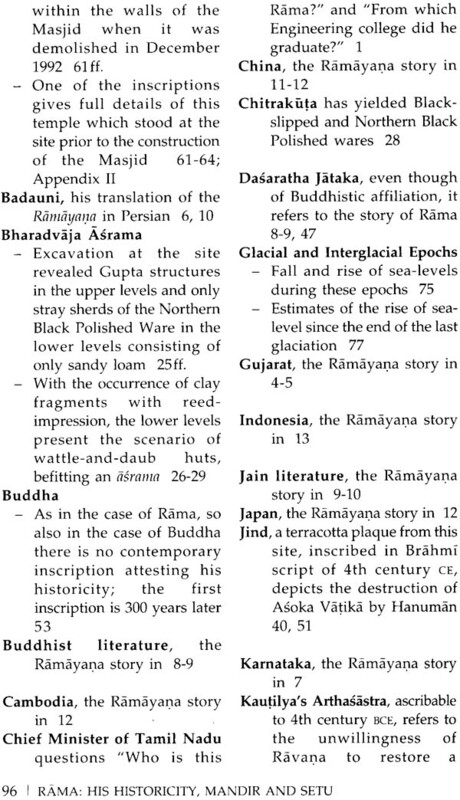 The excavations at Ayodhya have shown that the Ramayana too has a basis in history. In 1961 he conducted excavations in Egypt as well. 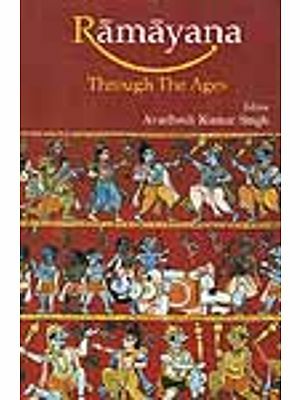 Amongst his latest books are: the Earliest Civilization of South Asia; India 1947-97: New Light on the Indus Civilization; The Sarasvati Flows On: The Continuity of Indian Culture; Excavations at Kalibangan: The Early Harappans (under joint-authorship); and The Homeland of the Aryans: Evidence of Rigvedic Flora and Fauna and Archaeology. The President of India has honoured him with Padma Bhusana. This booklet seeks to present archaeological facts, nothing but hard facts, in regard to the three topics which have become, as it were, the 'talk of the day', viz. 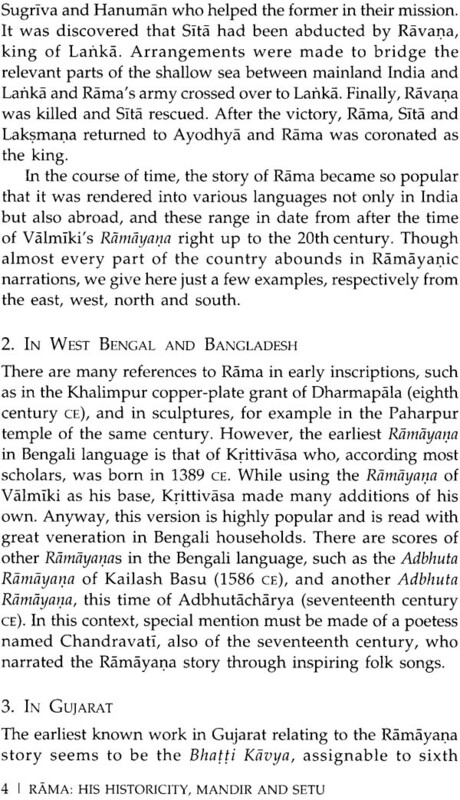 : (i) 'Was Rama a figment of the imagination of a poet called Valmiki, or is there any evidence to suggest that he may have been a historical figure? 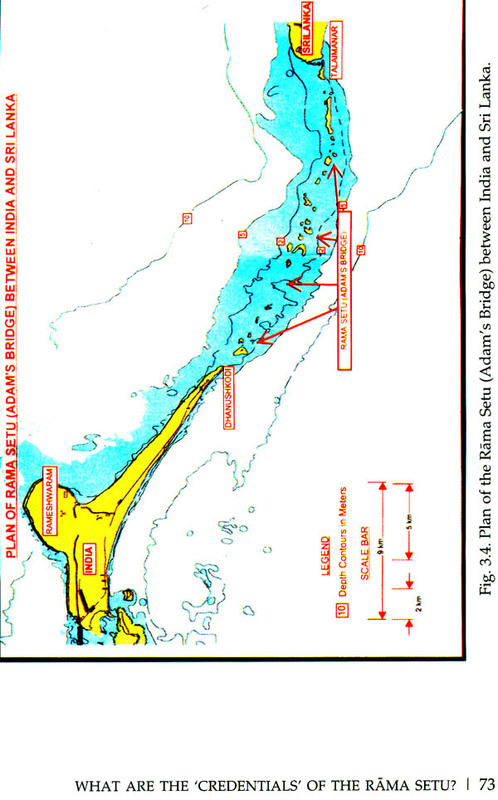 '; (ii) 'Was there a temple in the Janma-Bhumi area at Ayodhya, prior to the construction of the Babari Masjid? 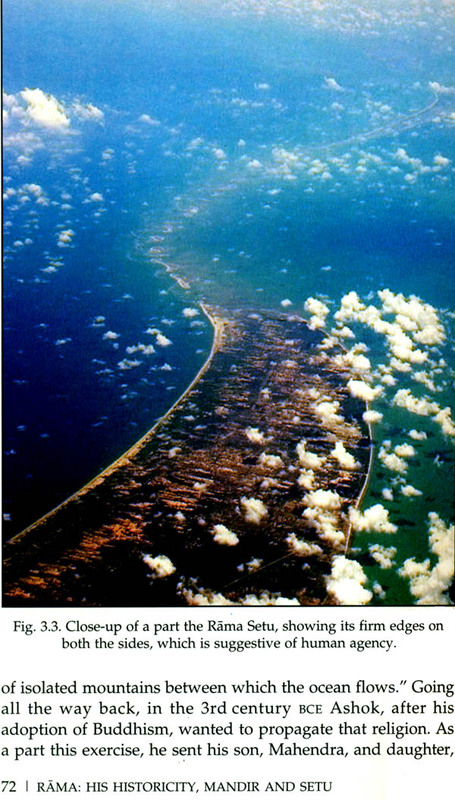 '; and (iii) 'What are the "credentials" of the Rama Setu'? 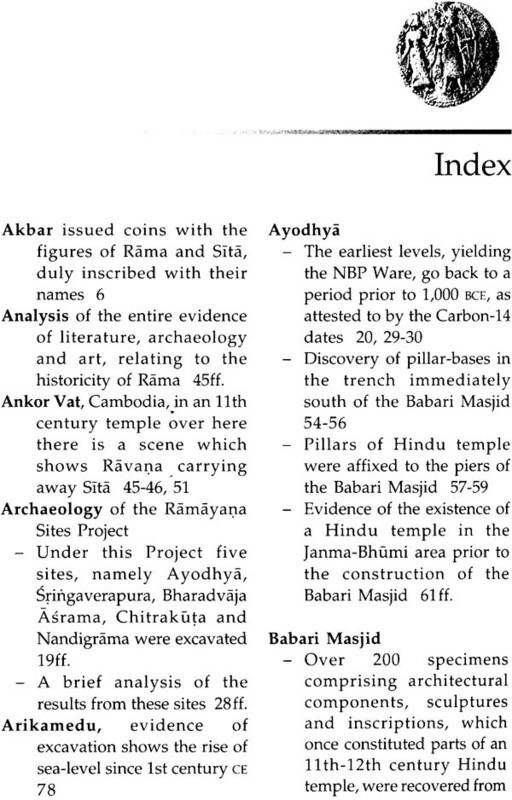 Of late I have been busy finalizing my next book, How Deep are the Roots of Indian Civilization? 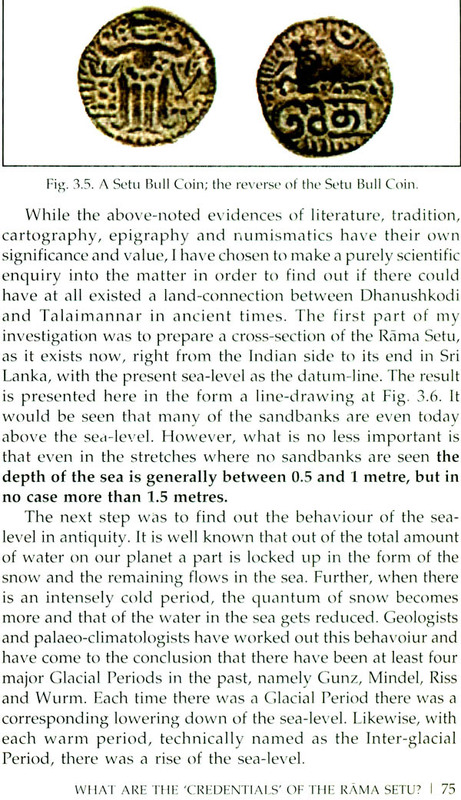 Archaeology Answers. But in the midst of this schedule, for more than a month now I have also been attending to calls from television channels, print media and a number of eminent individuals asking for my views on the above-mentioned topics. In fact, the Sahara Samaya channel, not finding me in Delhi, got hold of me at Fursatganj (Raibareli) where my wife and I were spending some quiet insisted on interviewing me over the telephone on September 15 and aired the same for its listeners. The NDTV, I was told, wanted me to participate in a debate on the Rama Setu issue around the same time, but could not get me since I was away. However, a very senior editor of the India Today had a long telephonic conversation with me on the subject and published some of my views in its Special Issue dated October 1, 2007 Since the telephone still keeps on ringing, I thought it was better for me to write out a small booklet on the above, mentioned issues so that all those who are interested in knowing the archaeological and allied evidence are not deprived of it. With these few words, I have the pleasure of placing this booklet in the hands of inquisitive readers, hoping that they would find it of some interest.